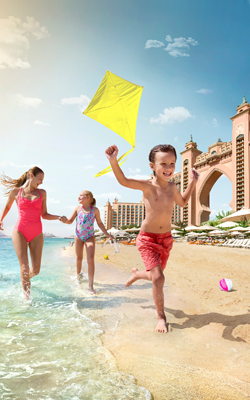 Holidaymakers, both young and old, come to Atlantis, The Palm for its unique entertainment offerings, dreamlike beaches, delicious offerings in the form of restaurants and cafés, its pleasant tropical landscapes for much needed relaxation and more. As a recreational paradise and a holiday destination, the iconic luxury resort and 5-star hotel on The Palm has always been the top choice. Whether join us to enjoy the ultimate luxury, a special occasion, or a dream family holiday, the Atlantis Club Suites places it all at your fingertips. The Club Suite experience at Atlantis Dubai allows for an exclusive atmosphere where you can enjoy luxury, comfort and premium benefits. No matter your choice, you can benefit from a selection of privileges showcasing value and exclusivity. Why Atlantis Club Suite is the perfect choice for families? Our Club Suites offer all the comforts of your own home. Enjoying a stress-free time with access to all the exclusive services at your fingertips and disconnecting yourself from the obligations of your daily life is a luxury that you can only live in our Club Suites. The Terrace Club Suite, with its ultra-spacious and luxurious one-bedroom or two-bedroom options, touts the largest private balcony of our suites collection, perfect for large family gatherings. You can enjoy breathtaking views of the Arabian Sea or The Palm Island from the private terrace, which is fully furnished with sun loungers, decks, and dining amenities. If you are looking for a fantastic family suite option, then Executive Club Suite is your perfect family escape. This beautifully furnished suite features an expansive living area, an executive lounge that opens into a private balcony, a separate dining area with working space, and options of one and two bedrooms equipped with a standing soaking tub, walk-in shower and his and hers vanity. The Regal Club Suite invites you to relax in exclusivity, with every detail meticulously crafted for your utmost comfort, with exquisite furnishings in warm tones that will leave you feeling like royalty. Providing an excellent retreat for a large group or family, the regal suite boasts lavish living room separated from the bedroom by a sliding door. Based on your needs, you can choose between a king-size bed or two double beds in one- or two-bedroom options. 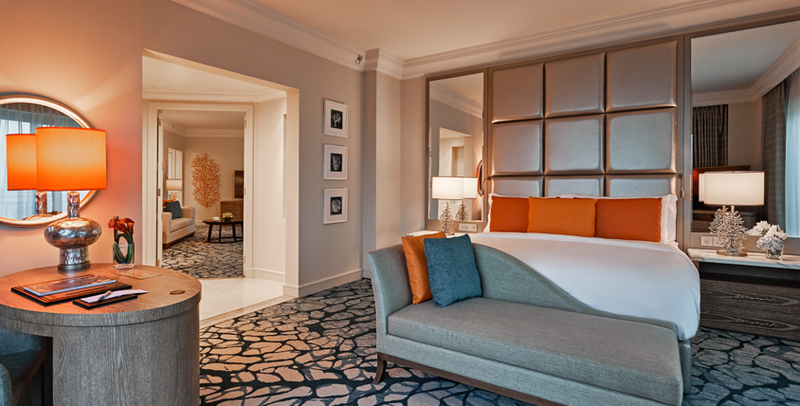 Offering all the luxuries and amenities your family needs for an unforgettable vacation, the Two-Bedroom Family Suite is the most intimate and spacious of Club Suites at Atlantis. A Family of six can enjoy the family suite’s unmatched privileges, including the Master bedroom for kids with en-suite bathroom that features a large oval bath and a Jacuzzi. A host of priority services, including personalized concierge and bellman services, as well as private check-in at the Royal Majilis lounge. Daily complimentary happy hour from 5 – 7pm in Seafire Steakhouse & Bar. Offering exclusivity and relaxation in one luxurious package is the Imperial Club Ideal for the more discerning travellers, who are looking for additional luxury and comfort to add to their stay, the Imperial Club floor offers Club rooms and an option of 1 & 2 Bedroom Executive, Terrace and Regal Club Suites. As an Imperial Club guest, you can upgrade your vacations to an unparalleled luxury travel experience – from complimentary full breakfast and unlimited, two spa treatments for the price of one at ShuiQi Spa as well as all the benefits of the exclusive Imperial Club Lounge. Book an Atlantis Imperial Club Suite now and unlock exclusive benefits. Access to the exclusive Imperial Club Beach, along with a fully-serviced bar and personal service attendants to take care of your every need. As an Atlantis Member you can enjoy exclusive benefits and experiences. Not a member? Sign up today to enjoy our Atlantis Membership Rates along with unlocking a world of benefits you’re entitled to. 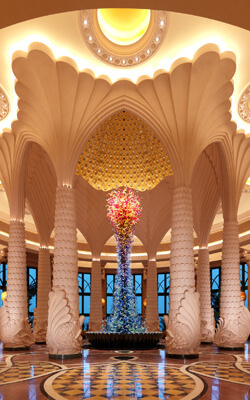 Atlantis Dubai Offers – Enjoy amazing rooms & suites discounts this season! Take advantage of our American Express Offer to maximize your luxurious stay and enjoy a host of resort-wide attractions. 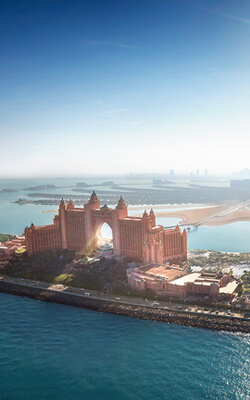 Some memories are meant to be treasured, and at Atlantis, The Palm you can experience an exceptional escape that will transform your special moments into timeless memories.